“There’s a lot that I’d like to do to keep America moving. But the law is the law, and no person is above the law, not even the president,” said President Obama in a speech to the African Union in July, in which he also quipped that he could “probably” win a third term if the US Constitution allowed it. However, the irony behind Obama’s bleeding-heart speech about democracy in Africa is that in many African countries, Western backing is the only thing keeping kleptocrats in the presidential palace. Obama’s empty rhetoric offers an interesting contrast to a reality in which many African countries are racing to remove the pesky two term-limit in their constitutions, as the continent braces itself for its own 2016 election fever. Indeed, no fewer than 13 African countries will have their presidential elections next year – and some leaders have taken steps to make sure their hold on power will not be weakened by something as trivial as the rule of law. While the West airs bland platitudes about respecting the rule of law, African leaders are snuffing democracy with impunity. With blatant disregard for the popular mood, many African presidents have rid themselves of term limits. From Mozambique’s former leader and respected elder, Joaquim Chissano, who quipped that two terms are “not enough” for African leaders, to Rwanda’s Paul Kagame, who argues that his country is not stable enoughto go on without him at the helm, 11 African leaders have altered their constitutions in the past 15 years alone. Some, like Uganda’s Yoweri Museveni or Zimbabwe’s Robert Mugabe, have been their countries’ leaders since the days of the Cold War. Others, like Djibouti’s Ismail Omar Guelleh, Burundi’s Pierre Nkurunziza andRwanda’s Kagame, are aspiring autocrats who have only recently solidified their hold on power by removing constitutional obstacles. “African leaders don’t hold elections to lose them,” said David Zenmenou of the Institute for Security Studies. A recent survey by Afrobarometer, a nonpartisan, pan-African research organization, of 51,600 citizens in 34 countries shows that three-quarters of Africans polled support term limits. Educated Africans, the young and those who are more exposed to the media overwhelmingly reject these autocrats and their systems of patronage. But such aspirations will forever be thwarted if the West (and the United States in particular) curries favor with those leaders Africans want ejected. President Obama’s pleas for democracy simply don’t stand up to scrutiny, and are revealed as nothing more than crunchy sound bites for the Western media to digest. If Obama were truly interested in keeping Africa on an even keel, he would have stopped funneling money to dictators, young and old alike. For others, terrorism became a lucrative opportunity. The pocket-sized country of Djibouti is where the US stationed the largest squadron of drones (outside of Afghanistan) and the place from which the US strikes across the Horn of Africa and across the Bab al-Mandeb strait, into the Middle East. Even if Djibouti’s president, Ismail Omar Guelleh, has blood on his hands after winning a contentious third term that sparked violent street riots back in 2011, the United States didn’t spare a dime when Guelleh came to the White House in 2014. After a reception in the Rose Garden, Obama proudly announced that he will double aid to Djibouti. So far, Guelleh has refused to rule out whether he will stand for a fourth term in 2016. And when members of Congress cautioned the State Department over Djibouti’s human rights record, the country simply made a volte-face and invited China to open a military base on its territory. Apparently, the West has not only supported kleptocrats, but it has also taught them how to move from paymaster to paymaster to suit their interests. There is hope, however. What once used to be solved with bullets and tanks is being swept away through uprisings. Popular fury led to the ouster of Burkina Faso’spresident in 2014 and Senegal’s in 2012. In the Democratic Republic of Congo in January 2015, protesters forced the government to change a controversial electoral law, while Burundi was the scene of bloody protests this year. Despite the image some have of Africa as a continent marred by perpetual and intractable instability, the region has evolved politically at a quicker rate than most of the Western world. According to research carried out by the Brookings Institution, Africa has “leap-frogged” into the democratic processes of holding contested elections. 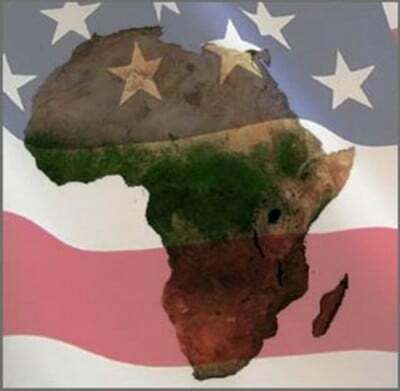 “What the United States took a century and a half to accomplish, some African countries have accomplished in less than 40 years,” writes Vera Songwe. Even if the task has been at times tortuous, ebbing and flowing in some countries, the young generation is at the forefront in Africa’s democratic struggles. The West’s task is simple: take a step back, because sooner or later we will choose our own path. Adjoa Agyeiwaa is a Ghanian-born US national who studied at the University of Maryland, graduating with a degree in history and a master’s in international relations with a focus on West African politics. Agyeiwaa lives in Paris and works as a consultant for a strategy company.